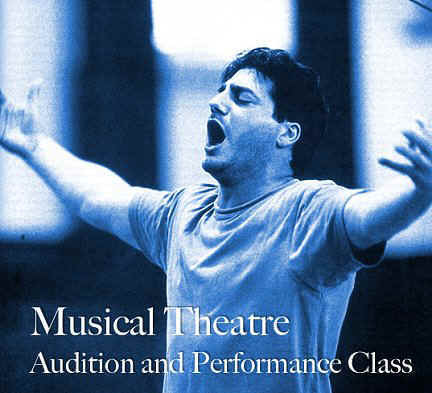 Musical theatre encourages the use of other techniques to project dramatic ideas. It makes song, dance and gesture an essential part of the creative and interpretive process. This particular class will focus on a mix of duets, solos and group numbers. In class, participants perform their songs with an in-house accompanist. Learn how words and music come together to create a powerful vocal performance. This class will strengthen students' voices, give them the confidence to sing in front of an audience, and teach them the basics of acting the song. Students will also develop a great 16 bar audition piece as well as a polished performance piece. This class will culminate in a showcase for invited friends and family on the final day of class including solos and a group number! Bring a couple of duets (sheet music) you think you would like to work on. We will also help you choose something best suited for your �type� and vocal range. Time: 7:00 p.m. - 9:30 p.m.